Sunflower sea star from a file photo. Photo by The Canadian Press. There was once a galaxy of sunflower sea stars in the Salish Sea off the B.C. and Washington state coasts, but a new study says the animal's near disappearance from the ocean floor should be of special concern. 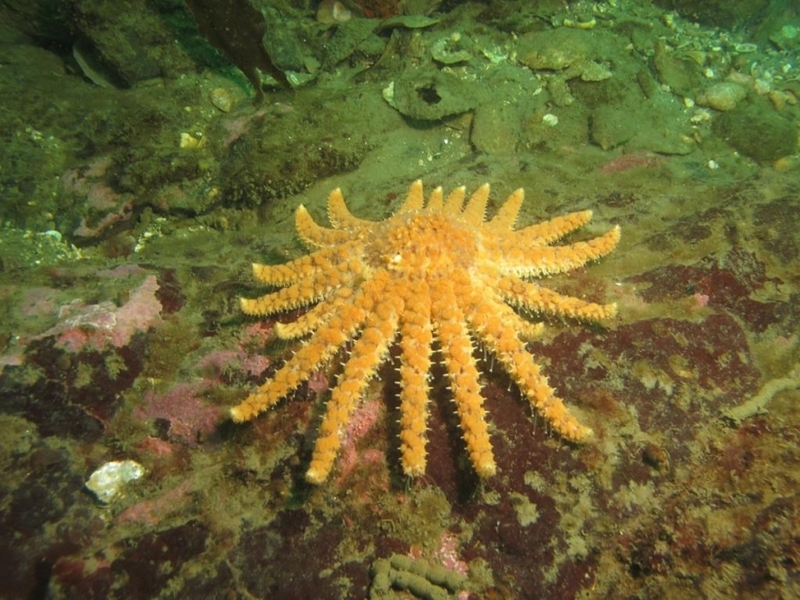 The study from researchers at the University of California, Davis, says the wasting disease that impacted many star fish from Alaska to Mexico, was devastating for the sunflower sea star. 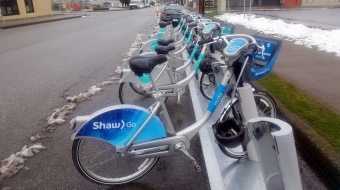 Joseph Gaydose, one of the report's authors and the chief scientist with the SeaDoc Society, says the sunflower once covered the ocean floor in many areas off southern Vancouver Island and Washington state, but they've been virtually wiped out. Gaydose says the large, colourful star fish are voracious predators and losing them could throw the area's ecosystem off kilter, allowing animals like sea urchins to thrive, which in turn can wipe out sea kelp. He says scientists have been in discussion with the U.S. National Marine Fisheries Service to have the sunflower listed as a species of concern, an informal term referring to a species that may be in need of conservation. The wasting disease has been linked to a virus and the study published in the scientific online journal PLOS ONE says it's the largest such disease epidemic known in the marine world.